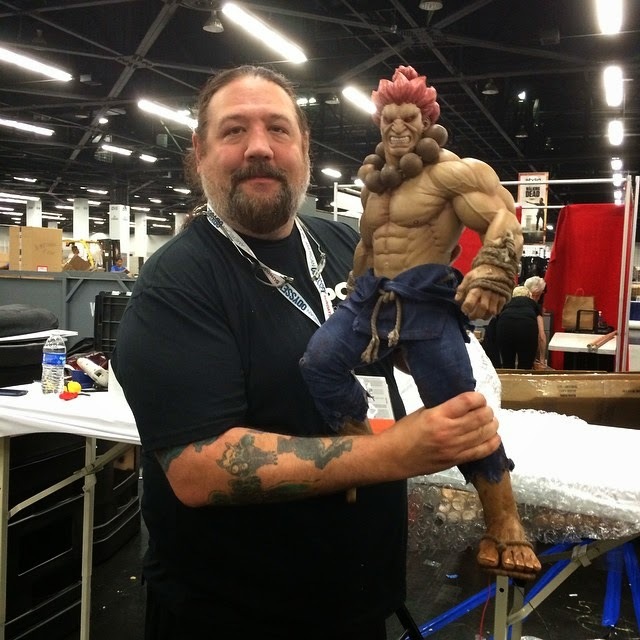 Wondercon 2015 happened over the weekend and my favourite statue company had some new stuff on display..
Yea, that's how huge these statues are! 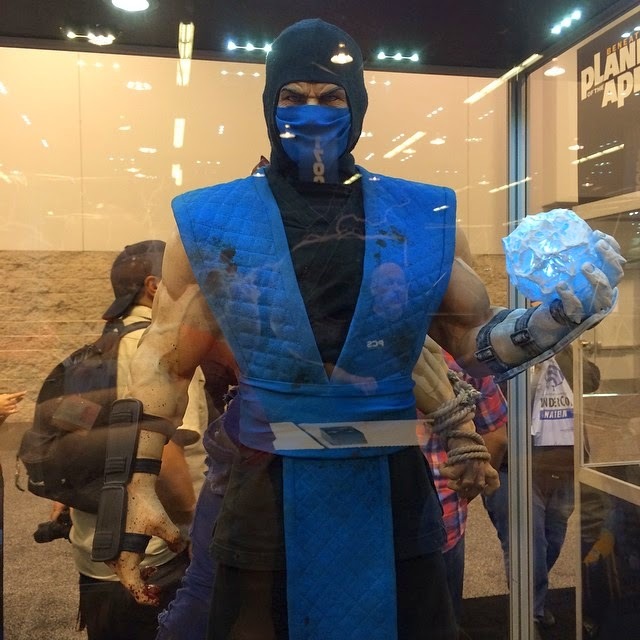 Both are sold out on PCS Toys' website but you still might be able to find Sub-Zero at the official distributors like Simply Toys, right here in Singapore. 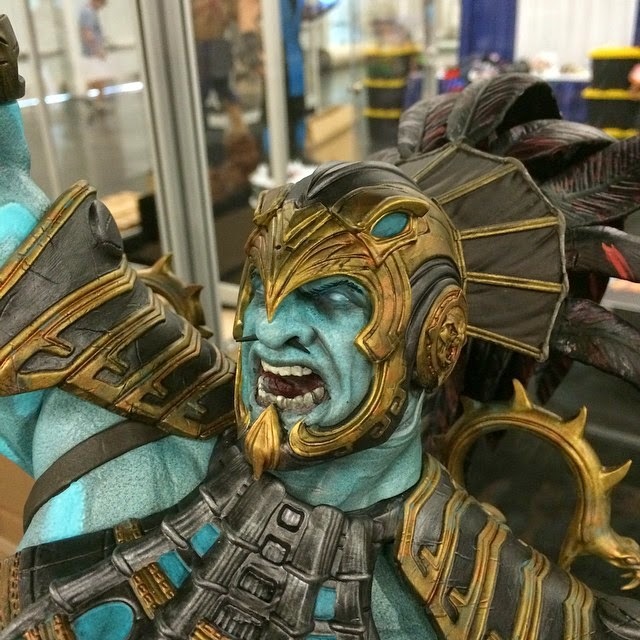 PCS Collectibles also previewed the MKX Kotal Kahn 1/4 statue..
Looks fabulous! Been saying on the blog that I'm a huge fan of his design and the focus they gave him in the comics has cemented him as a favourite for me. He is a 'bad guy' in the MK Universe but he's currently working with several Earth warriors against a common enemy. I have always been intrigued by 'bad' characters who can work with the good guys, rather than characters who are outright evil and just want to destroy everything in their path. 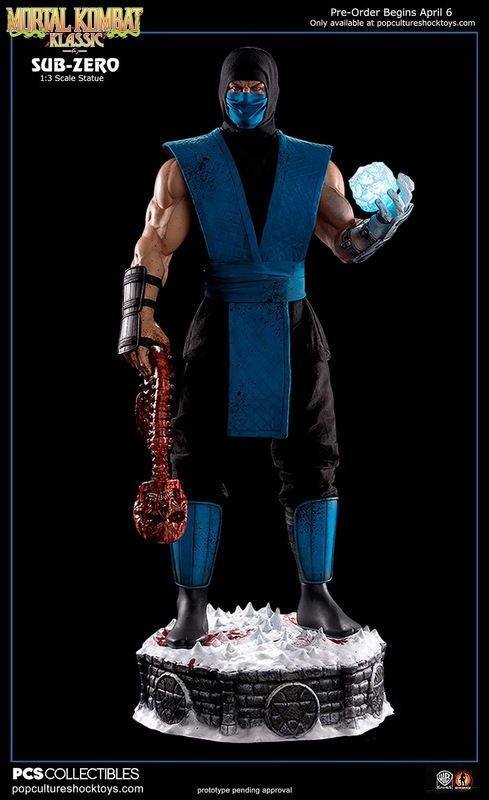 Details on the preorder isn't released yet but there's 2 heads to alternate & a bloody heart, a pose based on his fatality. Lastly, here's a short video footage of the stuff on show & Jerry giving a walk-around his booth. Around the 10:35 mark, Jerry says he didn't display the Sub-Zero with the spine-rip fatality piece, because there were kids around.. 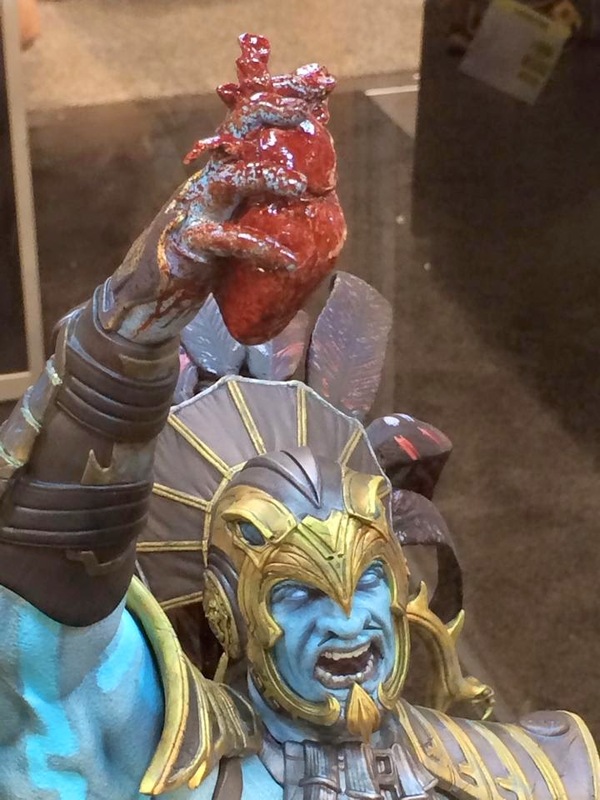 Wait a min, did you see that Kotal Kahn with the heart???!! So hearts are ok? Spines are not..? Perhaps it might be a sign.. 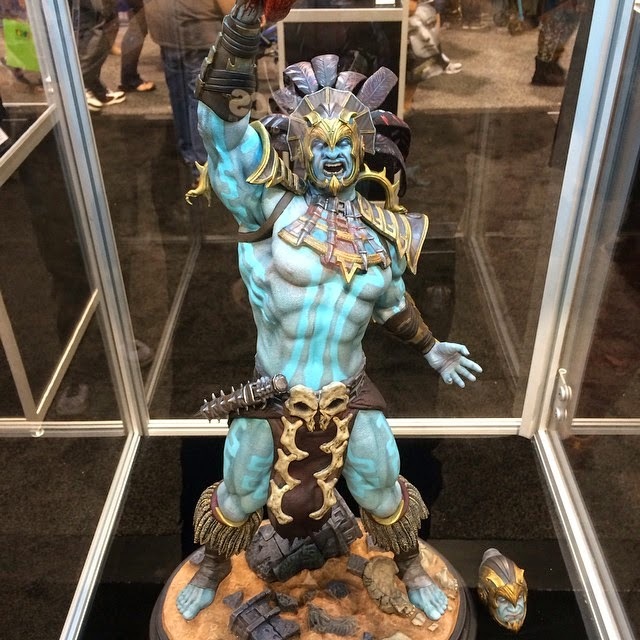 Most of the collectors didn't seem to like the limp spine pose but rather preferred it to be held up high..
Maybe, just maybe... PCS are considering changing it so they didn't want to display it? 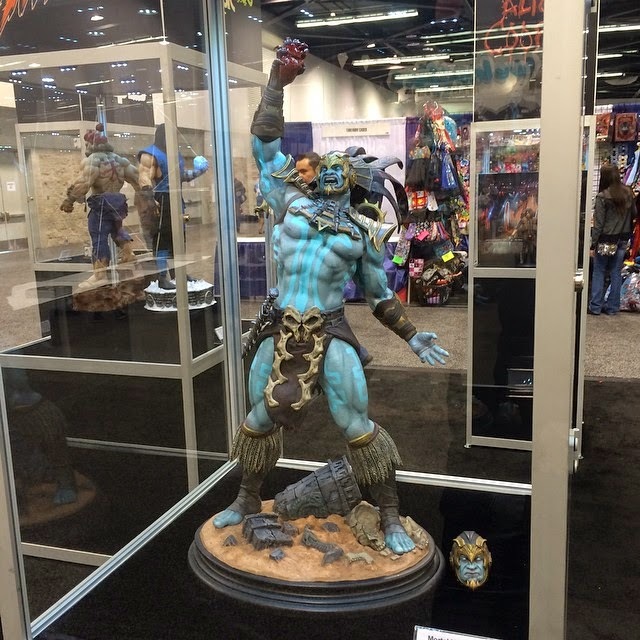 Anyway.. have Sub-Zero on preorder already and awaiting Kotal's PO to be up!